Genmab will partner with Immatics Biotechnologies to discover and develop next-generation bispecific cancer immunotherapies through a collaboration that could generate more than $2.8 billion for Immatics, the companies said today. The companies have launched a research collaboration designed to combine Genmab's technologies and antibody expertise with Immatics' XPRESIDENT® targets and T-cell receptor (TCR) capabilities. Immatics agreed to grant Genmab an exclusive license to three of its proprietary targets, with an option to license up to two additional targets at undisclosed predetermined payments. 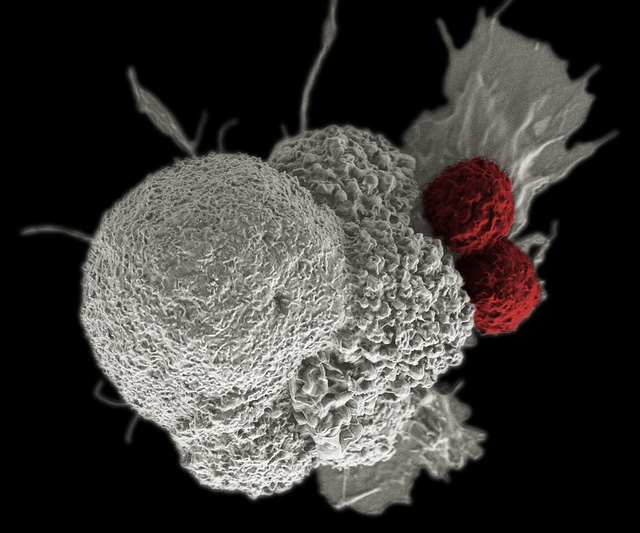 Under the companies’ exclusive license agreement, Genmab agreed to pay Immatics $54 million upfront and up to $550 million in payments tied to achieving development, regulatory, and commercial milestones for each product—up to $2.75 billion if cancer immunotherapies based on all five targets are developed—as well as tiered royalties on net sales. Copenhagen-based Genmab has developed two next-generation antibody technologies – the DuoBody® platform designed to generate bispecific antibodies, and the HexaBody® platform designed to create effector function enhanced antibodies. Immatics’ XPRESIDENT is a high throughput technology platform designed to identify target peptides expressed and presented on the cell surface of tumor cells, not on the cell surface of normal tissue. The platform uses both quantitative transcriptomics (mRNA sequencing) and quantitative HLA-peptidomics (mass spectrometry) to analyze and identify peptides at an attomolar concentration, according to Immatics. ACTolog®, which involves selecting and expanding a patient’s autologous T cells based on cancer cell targets identified by XPRESIDENT before reinfusion back into the patient. ACTengine®, which entails engineering a patient’s own T cells to recognize cancer cell targets identified by XPRESIDENT before reinfusion. ACTallo®, which calls for engineering allogenic donor cells to recognize cancer cell targets identified by XPRESIDENT—an allogeneic approach designed to enable development of immediate or ‘off-the-shelf’ therapies. All three approaches were developed by Immatics’ American subsidiary Immatics US, launched in 2015 with University of Texas MD Anderson Cancer Center and co-funded by the Cancer Prevention and Research Institute of Texas (CPRIT). Immatics operates from Houston, Munich, and Tuebingen, Germany. Genmab has agreed to fund joint research to be conducted by the companies on multiple antibody and/or TCR-based bispecific therapeutic product concepts. Genmab holds the option to advance any resulting product candidates, and will oversee development, manufacturing and worldwide commercialization. For any products that Genmab commercializes, Immatics will have an option to limited co-promotion efforts in selected EU countries, the companies added. Genmab said its collaboration with Immatics would not change its 2018 financial guidance to investors. On February 21, Genmab projected it would generate 2018 operating income of between DKK 1.3 billion and DKK 1.5 billion ($203.3 million and $234.6 million), based on revenue that is expected to range from DKK 2.7 billion to DKK 3.1billion ($422.4 million to $485 million).